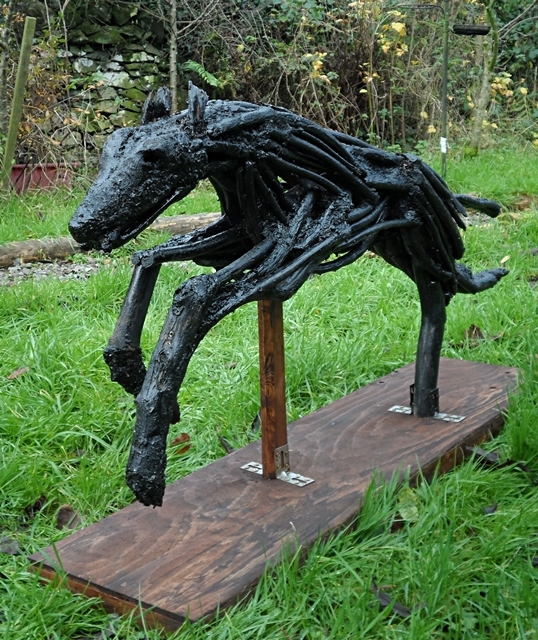 This greyhound sculpture was privately commissioned as a surprise Christmas gift. 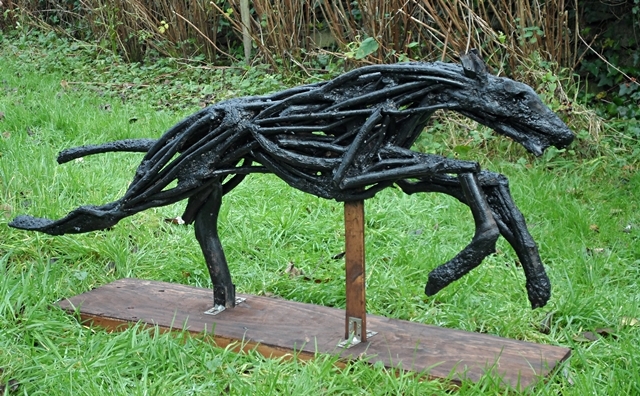 He is made from wild wood, salvaged from abandoned branches on former Forestry land at Frugaldom in Dumfries & Galloway. The sculpture is approximately four feet from nose to tail and has been named “Jet” by his new owners. This entry was posted in Recycled, Sculptures, Wood and tagged dogsculptures, greyhound, Sculptures, wildwood. Bookmark the permalink.